Succulents are incredibly easy plants to care for. All they really need is a little bit of water and enough sunlight. They are very tolerant of neglect, and often some of the most forgotten about succulents can be easily coaxed back to health. However, when shopping for plants, there are signs to look for that will tell you that a succulent will not thrive or may require more work than expected. Earlier in this series we showed you how to shop for healthy succulents and signs your succulents might need more attention. Here we'll show you warning signs to look for when shopping that will tell you a plant might need more care so you can make the best decision before buying. Glued-on plants aren't bad on their own, but can require more care than the care instructions may have you believe. There are some beautiful boutonnieres and corsages sold for events (meant for use for probably only one night use) that make use of glued on succulents, like the gorgeous ones from Passionflower Sue, but these items are sold as accessories, not home decorations, and can be planted after the event is over. The items that require more care than the instructions allude to are the items sold as home decor with a live but glued plant. Succulents are not like air plants (tillandsia), and cannot get their needed nutrients from light misting. They have root systems that require them to be planted in soil or a growing medium for them to obtain nutrients and water. Succulents that are glued onto ceramic or wood will become etiolated and under-watered, and will die rather quickly from not getting enough nutrients and light. If you do happen to acquire one of these plants, you can still rescue it however. These plants can be removed gently from their bases, and any damaged portions removed. You can then use the plant and any leaves that may have fallen off for propagations. The good thing about arrangements like these, if that you may be able to skip some steps in the propagation process. The cut end of the succulent will have most likely have already calloused over and begun to form roots (in its search for more nutrition), leaving you will a little fat plant that is ready to be planted in some soil! If you want a similar look, consider purchasing some air plants instead. 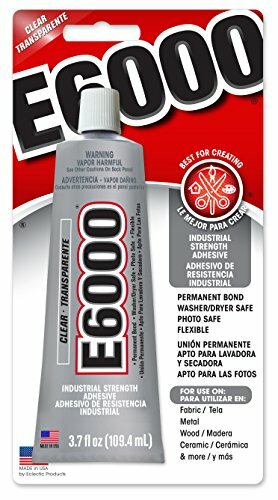 You can attach them to ceramic and other surfaces with epoxy type glues like E6000. Another tactic that sellers do to fool new succulent growers is gluing paper or dried flowers to succulents. Sellers do this to fool buyers into thinking that the cactus is flowering. These flowers can damage your plant once it grows or when it is removed. Real succulent flowers are far more colorful than these simulacrum of real flora that will fade and fall apart overtime. If glued on flowers are your aesthetic, that’s fine too, just remember that the glue will damage the plant as it grows or if it is removed. Most succulents and cacti naturally only bloom for a few days. If you're looking for something floral, consider getting a kalanchoe or certain varieties of sedum like the flowers in the vase below. The worst (in my opinion) tactic that sellers use to fool new succulent parents is selling painted succulents and cacti. These plants are going to die very shortly after bringing them home, and you’ll often see them dying on store shelves. The reason painted succulents are bad is because the paint blocks sunlight from reaching the leaves, leaving the plant unable to photosynthesize and feed itself. 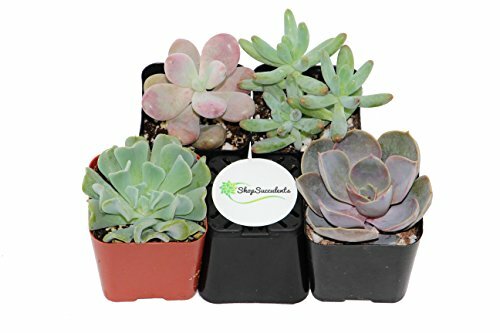 If you are looking for a colorful succulent, instead consider one that is naturally colorful like a moonstone or graptopetalum, or even just plant your new succulent in a colorful pot. Several sellers on Etsy and Amazon sell naturally colorful succulents. This is the lovely succulent I picked up at @floragrubbgardens last week! After overwatering, bugs are the second fastest way to kill your succulents. Depending on your climate and area, succulents are susceptible to several types of insects like flies, mealy bugs, aphids and many more. Flies are mainly just a pest, but can quickly spread to other plants. Mealy bugs will make quick work of eating your succulent leaves, and aphids will also eat leaves and quickly begin to affect other house plants and food. Organic methods to controlling bugs in your succulents exist and are very effective, and in my opinion more effective in the long term than using pesticides. To get rid of aphids, you can wash off your plant with a powerful rush of water and apply a mixture of water, dish soap, and cayenne pepper to the leaves to keep them away. Mealybugs can be removed and killed with a cotton swab dipped in alcohol to remove their webs and kill the bugs. Periodically check your plants and repeat as necessary. I am not a stickler for organic gardening and (I will occasionally use miracle-gro on underperforming backyard tomatoes, or even use an organic pesticide if I see aphids or caterpillar lopers on my squash), however, I really beg you to not purchase plants with neonicotinoid pesticides that have been applied. The best way to keep bugs from harming your succulents is to inspect all plants before you purchase them, and avoid buying ones visibly affected by insects. Once you bring your plants home, keep all new plants separated for a week or two to make sure there were no eggs brought in with them. There is increasing evidence that neonicotinoid pesticides affect bee populations and are the cause of colony collapse disorder. If you need to use pesticides, research the ones you use first. Instead, buy any other plant not treated with these pesticides. To be sure that you're avoiding them, shop at organic nurseries or ask the staff where you are shopping what pest control methods they and their suppliers use. Giving succulents too much water is the fastest and most effective way to kill them. Too much standing water in the soil can lead to a condition called root rot which can spread up the plant and quickly kill it. You can easily tell an overwatered succulent by looking for mushy and translucent leaves, or looking for black rotted segments. An overwatered succulent can only be saved by cutting off the affected areas with a sanitized sharp blade, and letting the cut area callous over and re-root. Look for succulents and cacti with dry soil when you're shopping. Moon cacti, those cacti you see that are a colorful sphere on top of a taller cactus are really cool, and are actually two cacti grafted together. I think these succulents are beautiful and are really interesting, and don’t want to discourage you from getting them, but want you to know more about them to avoid heartbreak after a few years. Moon cacti are two cacti grafted together, that have fused together and share nutrients and a vascular system. The colorful cacti on the top, called a Hibotan cactus, although it is very colorful, is considered an albino plant. It’s colorful colors come from a lack of chlorophyll, the needed chemical for plants to photosynthesize and thrive. The hibotan cactus, since it lacks chlorophyll, can only thrive when grafted onto a root stock cactus. After about two years, depending on growing conditions, the rootstock cactus will reach the end of its life, or may begin rotting or drying out sooner. When this happens, the hibotan is still viable, but will need to be regrafted. Plenty of tutorials exist to show how to do this should you wish to perform this task. If you decide to purchase a moon cactus, just know that this is problem will arise in the future. Moon cacti still make great plants, but if you're looking for something with less long-term maintenance, consider another colorful succulent or pot. In our previous post, we showed you what to look for to know that the plant you're selecting is healthy. We know that plants make people happy, so today we're showing you some signs that mean a succulent isn't as happy as it can be and needs a little extra love and attention. To help you when shopping for succulents, we created this guide so you can be more informed shopper when you're buying plants and to diagnose issues you're having with your succulents after you take them home. The easiest way to kill a succulent is by over-watering it, but succulents can be damaged by too little water as well. Succulents store water in their leaves, and can handle being under-watered better than other plants can, but like Goldilocks, still need that amount of water that is just right. You can tell that a succulent is under-watered if it has limp and wrinkly leaves, and may have dropped some as well. Underwatered plants can still be healthy when you begin to water them again, just make sure to not overwater the plant. Etiolation describes a plant that was grown without enough light and has subsequently become stretched out and pale. Etiolation occurs when a plant is grown without sufficient light for a period of time and grows out in search of more light. Succulents like this can still be perfectly healthy, they just may not the aesthetically pleasing plant you were hoping to instagram right away. You can't fix etiolation once it has happened, but luckily with growing succulents, you can always slice off the bottom of the plant, and begin propagrations from the cuttings and leaves. Like humans, succulents can get stressed, too. Stress comes temperatures or water conditions that are not ideal for the plant. Stress in succulents can take many forms, from the tips of the leaves turning red (like the photo above), or the entire leaf changing colors. Some gardeners will intentionally stress their succulents for aesthetic appeal, and this can create beautiful effects when done correctly. Seeing signs of stress in your succulent does not mean that your succulent will imminently die, it just means that your succulent may need some extra care or need to be moved to a new location. In most cases it means that the plant is under-watered or receiving too much light. While some succulents can be stressed temporarily for looks, this is something that should not be done long term as the plant can begin to rot or die if left like this for too long. Also something of note, is that if you buy a beautiful subtly colored succulent at the store, it may be exhibiting signs of stress, and may change colors once you get it home. Once again, like humans, plants are delicate and can get injuries. Plants can get physical damage from insect and animal bites and from trauma like being dropped. Last fall I had an unfortunate incident where some squirrels feasted on and knocked over several of my plants, so unfortunately this is a problem that I know too well. There is no guaranteed way to prevent physical damage to your plants, but with some care and planning, you can do your best to prevent it. This may seem like really simple advice, but be careful and don't drop your plants when you are moving them around. When selecting a location for your plants, keep them on a sturdy base where they can not be easily tiped or knocked over by people or animals. And finally, if you're keeping your plants outside, considering installing netting or wiring to keep squirrels and other critters from dining on your succulents. Deterrents like coyote urine and shaky stuff can also be used to deter backyard fauna from inquiring about your plants. If your succulents have physical damage they will never fully heal. In most cases they will begin to callus where the trauma occurred but may also begin to rot. With calloused plants, they will bounce back and be healthy again in time, they just won't be as pretty as they can be. If you see signs of rot, using sharp shears or a razor, cut off the rotted sections and either replant or try to start over from a cutting. If you see signs of this in a plant at the store, this does not mean that the plant is unhealthy, only that it was damaged at some point in transit from the grower to the the store. While plants need sunlight to perform photosynthesis, some plants can get too much sunlight. While some succulents can be planted in bright sunlight, not all can handle full sun (defined as 6+ hours of direct sunlight per day) or can suffer in too much sunlight. Leaves that are sunburned will appear brown or black, and may begin to shrivel or callus. The best way to fix sunburn in your plant is to move it to a place with less sunlight or less bright light. Sunburned leaves will never fully heal, but unaffected parts of the plant will still be healthy. You can distinguish sunburn from rot by looking at other signs in the leaves. A recently sunburned plant will still have fat and full leaves that have begun to turn black or brown and may still be glossy. Older sunburn will be black or brown and dry or shriveled, or even completely desiccated. Leaves that are showing signs of rot and too much water will appear mushy and wrinkly. If you see sunburn in a plant at the store or that you own, this does not mean that the plant is unhealthy and will quickly die, but that it was probably cared for improperly and exposed to too much light at some point. Keep in mind that often sunburned segments will shrivel off, so while the plant may not be pretty, it could still be healthy and continue to grow for years and years. The best way to refrain from buying sunburned plants is to buy from small independent nurseries and sellers and to avoid big box stores where this type of damage is more likely to be seen. Hopefully these tips help you diagnose and treat issues that your succulents may have. In our next post we'll be showing you what to avoid when shopping for plants and succulents so that you make sure to always take home a plant that can be your companion for years to come! When you’re shopping for succulents, there are several signs to look for to make sure you are buying the healthiest plant that you can get. There are no definite rules on what to look for when shopping for plants, but these tips will help you determine which plants are the healthiest when you’re out shopping. This post is part of a 3 part series on how to shop for succulents. In this post I’m going to focus on signs of healthy plants, and in the next two posts I will share with you warning signs of unhealthy or uncared for plants, and what to never buy. Looking at the leaves is one of the easiest ways to tell if a succulent is healthy. Succulents are often called “fat plants” because of their plump and full leaves. Succulents store their water in ways different from most plants by storing most of their water in their leaves. The appearance of the leaves will give you a status report of the recent health of the plant. If the leaves are full and plump, than the plant is currently getting the right amount of water, and unless there are signs of insects or physical damage, the plant is in most likelihood currently healthy. If you see mushy or black leaves on a succulent, the succulent was overwatered and will most likely die soon (seriously, don’t buy an overwatered succulent, it will only lead to heart break). Wrinkly leaves mean that the succulent has not received enough water. Succulents with wrinkly leaves can still be healthy and plump back up in a few days when properly watered. We’re going to keep looking at the leaves for more clues about the health of the plant. Looking at the leaf spacing will give us clues about the longer term growing conditions of the plant. When you’re looking at the succulent you want to buy, pay attention to the spacing of the leaves along the stem. Leaves should be closely spaced together and tightly overlapping. Etiolation, or the far apart spacing of the leaves, is a sign that the plant has not received enough sunlight. Etiolation on a succulent is not a sign that it is unhealthy, just that it was not receiving enough sunlight for a portion of its life. You can buy an etiolated succulent and still have a perfectly healthy plant, it just might not be “instagram-worthy” right away. If you do buy an etiolated plant you can also cut off the bottom of the plant and remove the lower leaves to propagate smaller plants. When you’re shopping for succulents, you’ll also need to look at the soil for clues about the health and care of the plant. If the soil is dry and you don’t see any signs of mold or mushy leaves, than the plant has never been properly watered and you should have healthy roots and soil. If you see soft wet soil or any signs of mold or mushy leaves on the plant, this means the plant has been overwatered and can cause root rot, a condition where the roots stayed wet for too long and have begun to rot and cut off water to the plant. Also, look for succulents planted in a well-draining soil mix that includes perlite or sand. If you don’t see these in your soil, but the soil is still dry, you can always replant it with a fast draining soil mix when you get home. The coloring of the leaves will also give you more clues about the health of the plant. Not all succulents are green or brightly colored, but look for even coloring of the plant. Some succulents might be light green, dark green, pink, purple, or even black, but what matters is that the leaves all have consistent and even coloring. Some species will also have a gradient in their leaves (like the succulent in the picture) where the color might change color towards the tips. As long as the coloring doesn’t show signs of sunburn or stress, and is consistent throughout the plant, this color is a sign of good health. Farina bloom is a light, dusty, sometimes waxy, flour-like coating over the leaves of some succulents. Not all succulents have farinaceous bloom, but several species of crassula, pachyphytum, and echeverria do. If you see a flour-y coating on the leaves of the succulent, make sure that it is mostly undisturbed and has not been dusted off. Farina acts like sunscreen for succulents who love bright sunlight and should not be removed. The farina bloom is something that occurs on the leaves as they grow, so once its been removed it cannot grow back. If this has been removed, it does not mean that your succulent is going to die, but you should take more caution in the amount of light it receives and pay attention for signs of sunburn. Leaves that have had the farina removed could still be used for propagation of new plants. I hope you liked this guide of what to look for to ensure you’re buying healthy plants! The next part of our series will focus on what to avoid when buying succulents, and will give you more tips and photos of what to look out for when buying plants and signs that some plants might need more love.